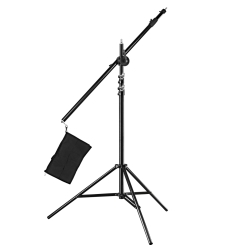 Top quality to a sensational price, this is what we provide with this set consisting of Boom and Tripod. 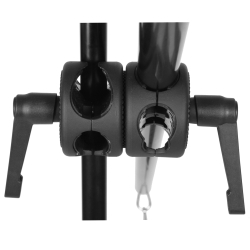 The Boom/Arm, which can be extended over two segments, has a maximal length of approx. 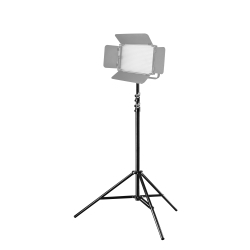 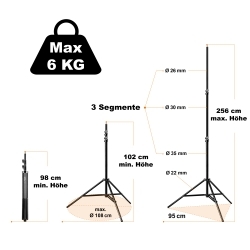 220cm and holds your flash devices, lights and Co. with a weight up to 5kg. 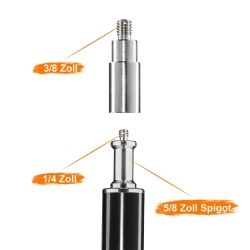 Thanks to the 5/8 spigot with 1/4 and 3/8 inch thread, you are furthermore very flexible regarding your connection. 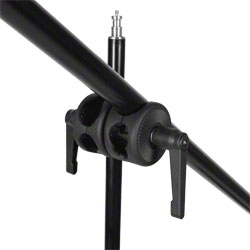 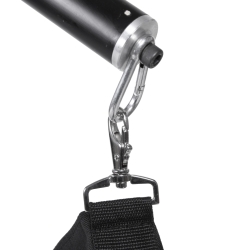 The Boom can be mounted to the Lamp Tripod WT-806 through a turnable and flexible pipe clip. 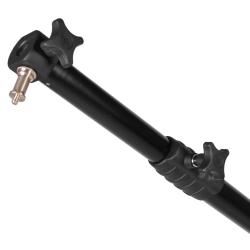 This connection is ideal for realizing straightened light from above or highlight and effect light. 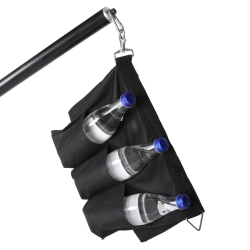 The Counterweight Bag, which can be hanged up through a carabiner can be filled with usual bottles or similar, makes it possible to hold the Boom in the right balance and to avoid tilting.